I've read a LOT of books and i usually like them but i never keep track or try to remember the authors or titles. I guess i'm a mass consumer of these products. However, believe it or not, i have a favorite book. 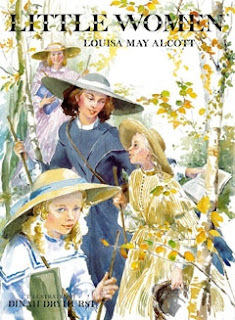 Little Women by Lousia May Alcott (In case you couldn't tell, i have fun looking through the different covers for the book). I love, love, love this book. There are not many books i have read more than once, but i can safely say i have read this book at least 10 times. I grew up with this book. I couldn't get enough of it so of course i made sure i got my hands on all the sequels Good Wives, Little Men and Jo's Boys. I don't remember how i got them probably from the school library when i was in boarding school. I don't think i bought any of these books because my copies were tattered and old. So i would guess i fapped them from the school library. There was just something about these four sisters and their mom with their dad away at war that appealed to me. How cool was it to discover a rich next door neighbor and become friends with them. I love Jo because she reminded me of me. I loved Jo and Laurie together and wasn't too pleased he ended up with Amy. I was sad Beth died. Meg got married and had twins and Jo married an older guy, a german professor she met when she went abroad. I know this family like they were real especially since i like i said, i read all the sequels. Of course i have the movie, which is a SAD disappointment and no comparison to the book. I jumped at the chance to do a critical analysis of the story for my Honors Developmental Psychology class so i had to get the movie. Sadly, i do not own a copy of the book or any of its sequels. I was surprised to read that the author initially did not want to write this book and thought it was boring and the publisher or editor (can't remember) agreed but her niece liked it and so did a lot of young girls which was the audience the book was intended for. The Harry Potter series would be my next favorite book(s). I don't understand why people think it's a children's book. lol. Okay, maybe it is but i love them anyway. Shout out to my visitor from Sammamish, Washington. Sammamish? Never heard of that, love the name though. 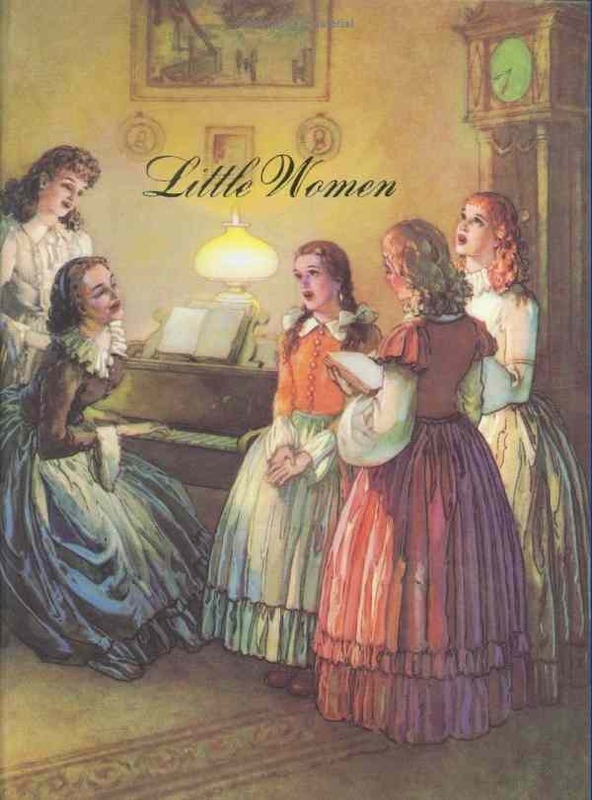 I never liked little women, but my sister loves the book. I think my best book growing up was the faraway tree by Enid Blyton. I loved the different worlds the kids showed up in!! Samamish here, yay! LOL...my IP changes and you'll see various surburbs of WA. I read it in secondary school but have not read it since and I've forgotten most of the story. I should re-read it I guess. I love HP and can't wait to see the last movie. 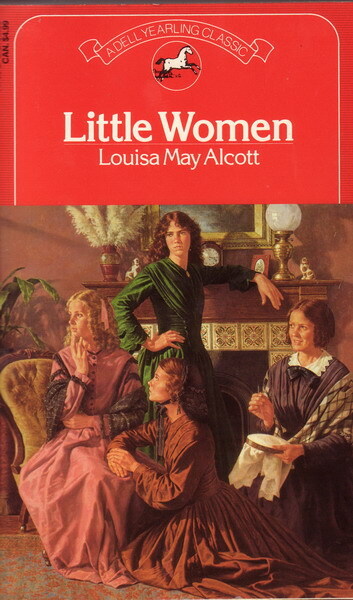 I tried reading Little women when I was a kid, but I didn't enjoy the few pages of the old, torn copy I had. My favorite books as a child were the bottled leopard, the prince and the pauper, and I think a book called women's revolt or something like that. oh! When it comes to reading books, I am soooo behind! I read harry Potter cuz of the crase everyone spoke about and I said i must find out whats so spectacular about it. It was more of a challenge for me at some point. I really have bad reading skills tho, its getting better now tho, honestly, id say thanks to blogsville. LoL. So I guess the only book I have read, finished, enjoyed and dint feel like a challenge was the bible. LoL--I know im bleh, but its the truth, LoL i carry last when it comes to reading books mehn. Little Women! Classic. Sadly I cant remember the story anymore ..sobsob. I do remember that scene where Liz sold her cut-hair to buy a present for their Mom (I think I am mixing it all up). That was my first intimation that human hair wigs were actually made from real hair. smh. @Adiya: Wow. How can? I loved the Enid Blyton books. @Myne: I've only seen the first HP movie. I prefer my imagination better because most movies usually mess up the books. Although i've heard the HP movies are pretty good. @Prism: I've never heard of those books. I should check them out. @Gia: You should have seen my face when i read ur comment. lol. I have read the bible cover to cover and i imagine it would be a challenge for me. @ilola: I never knew they had HP for kids. I only knew about the UK vs. US versions. Interesting. @Ginger: You are right although it was Jo who cut her hair to make money. There was no Liz in the book. Yeah, the book was written in 1868, so i guess they've been making wigs forever. @Stella Kodi :) Thanks for the blog loving.